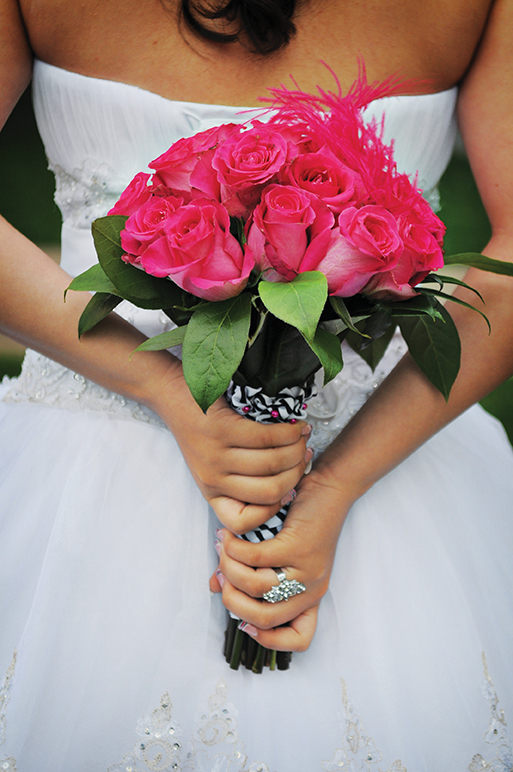 When choosing flowers for your quince, adding small details truly make your flowers yours. Changing up shapes and designs that stray away from the typical and boring format of a simple bouquet or centerpiece reflect a fun and adventurous personality. When holding your bouquet, adding heirlooms or mementos from a loved one bring a sense of familiarity and intimacy that connects you to a special someone, such as a close relative. 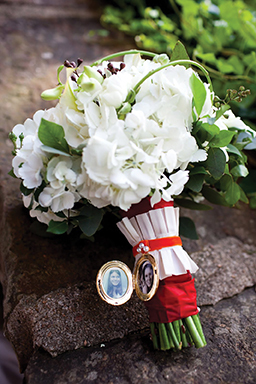 For example, hang your grandfather’s pocket watch from base of the bouquet, tie your mom’s lace handkerchief around the stems of your flowers, or pin your aunt’s brooch in the middle of the bouquet. 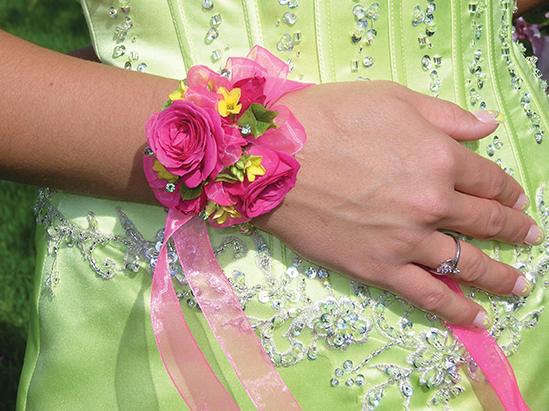 Instead of going for the traditional bouquet, opt for corsages instead. 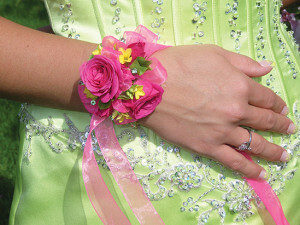 There are a variety of corsages, from simple ones that highlight one or two flowers, to lavish ones that drape down with glittery ribbons and waterfalls of various flowers. They also have the added benefit of being easier to transport than bouquets. Try out odd shaped vases that will make your flowers more eye-catching. Use clunky, rectangular vases with narrow, long flower arrangements for contrast, or try out eccentric objects that reflect your personality, such as teapots if you love tea parties or rain boots if you enjoy those summer showers. Garlands and wreaths aren’t just for Christmas anymore. 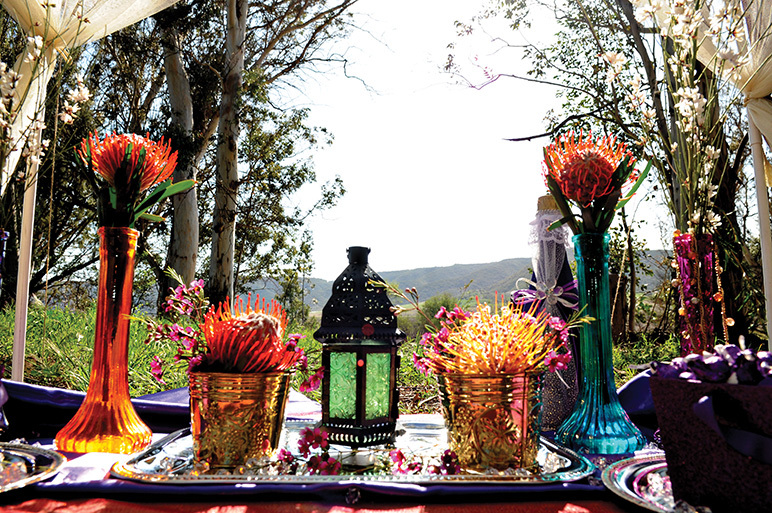 Use these festive adornments for decorations around your party. Instead of using flowers such as holly and mistletoe, go for vibrant flowers that go with the rest of your décor, such as bright yellow sunflowers or electrifying pink peonies. Adding your name or initials to the middle of the wreath gives it your touch. 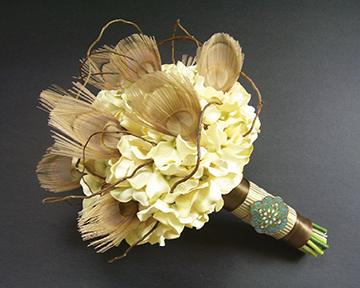 Touch up your bouquet by adding “non-flowers.” Adding unusual adornments, such as earthy colored seashells with a white rose bouquet or flashy, multi-colored buttons to a one-toned bouquet adds a whimsical touch to any arrangement. 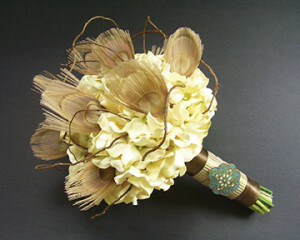 Other ideas include feathers, fake butterflies, or origami flowers. If you’re not interested in adding fake accents, try out fresher, fruity alternatives. Add bright strawberries to the edges of your bouquet, or try out brilliant blueberries as an accent. 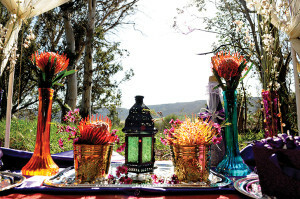 When planning your party, there may be the concern about the budget. 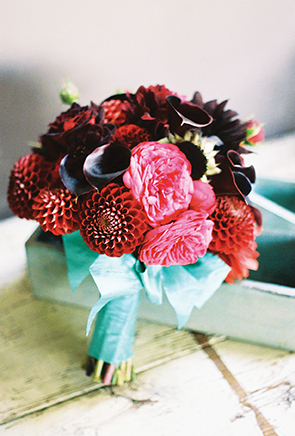 Don’t let it worry you anymore; opt for cost-friendly, seasonal flowers. Not only do they weigh less, they are better for the environment as well, as it takes less energy to produce and import local, seasonal flowers than ones that require more attention and fuel to transport from other countries. Why have tulips from the Netherlands when you can have equally beautiful wildflowers from a florist near you. Give us some of your ideas!